We can all agree that exercise is good for us. Exercise helps prevent chronic disease such as obesity and type 2 diabetes, improves mood, keeps weight in check, and boosts energy. We can now add to list of benefits of exercise that it alters the composition and function of our gut microbiome which may improve our health. The gut microbiome is the genetic material of the microbes (10-100 trillion symbiotic cells) living in our digestive tract that play an important role in digestion, nutrition, maturation of the immune system, disease mediation, and body defense. While individual humans are 99.9% identical, the microbiome differs between individuals by 80-90%. Understanding exactly how the microbiome regulates our health and disease progression is continuously under scientific investigation. Recent data demonstrate that endurance exercise modulates functional changes in the gut microbiome. Two groups of originally sedentary participants, one lean and one obese, began endurance exercise that increased from 30 to 60 minutes three times per week for 6 weeks. Analysis of the gut microbiome before, during, and after completing the study demonstrated an increase in the proportion of gut microbes that produce butyrate and other short-chain fatty acids (SCFAs) during the period of endurance exercise. Butyrate is involved in the regulation of gene expression, immune function stimulation, liver detoxification, cell growth, control of body fat, and colon cell health. When the participants returned to their sedentary lifestyles, their microbiome reverted to its original state. Although, these results show for the first time that exercise plays a vital role in regulating our gut health, we can’t discount the influence of our diet. During the study, there were no dietary restrictions and all participants followed their regular diet. Interestingly, the effect of exercise on gut microbiome composition was dramatically larger in lean participants versus obese participants. Given that all participants were sedentary at the start of the study, yet half were lean and half obese, we may infer that their diets were not the same. While it’s clear exercise plays an important role in the function of our gut microbiome, don’t forget about the importance of how we fuel our bodies! 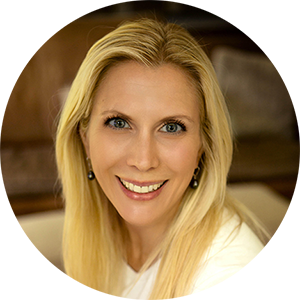 Dr. Kelly Jamieson Thomas is wellness expert with a Ph.D in biomedical sciences. She specializes in disease prevention through fitness and nutrition.